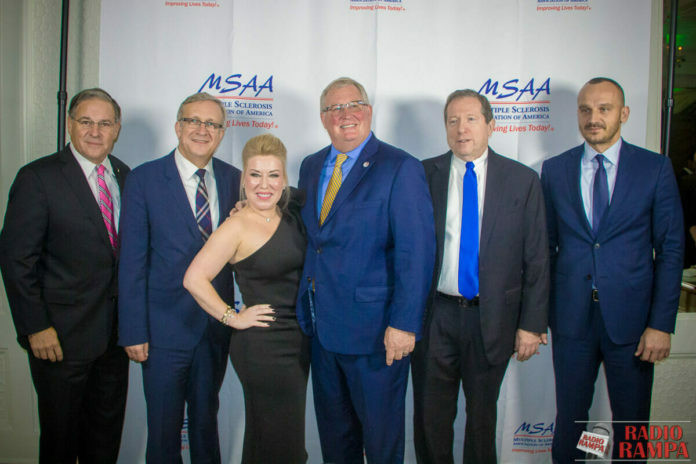 Karolina Dehnhard, American lawyer of Polish descent was honored with the Leadership Honoree Award at the annual gala of Multiple Sclerosis Association of America on November 2 in Woodland Park, NJ. Karolina was presented with the award by NJ Assemblyman Jon Bramnick, who proclaimed November 2 as Karolina Dehnhard Day. Among guests, representatives of Polish and American communities, including Polish-Slavic Federal Credit Union, and two organizations that are led by Karolina: Polish-American Chamber of Commerce North-East and Divorce Dynasty. Among guests, also CBS News anchor Chris Wragge and local politicians, mentioned before Jon Bramnick, as well as New Providence Mayor Al Morgan. Karolina was supported by many, including her business partners and friends, like Heather Choi, founder of Show Me Your Heart Foundation. The honor Karolina accepted is awarded by the Women of Action Leadership Committee.